I wanted to pretty up my kitchen for this tour. 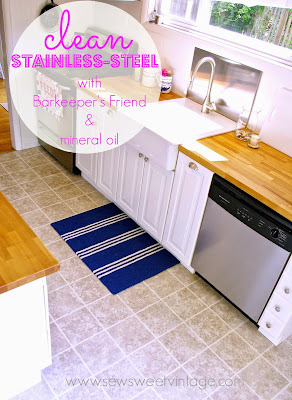 Pinterest had some great pins for how-to clean chrome and stainless steel. Turns out I had both items for this job. I'm amazed how my back-splash and appliances look new! 1. Scrub stainless steel surface with Barkeeper's Friend using a damp sponge, then rinse completely with water and dry stainless steel with a towel. 2. Next use a small amount of mineral oil on a dry cotton cloth to buff stainless steel. Buff in the direction of the steel grain. I love having a T.V. in the kitchen, but what I love even more is how my husband made a cut-out in the counter, using a hole drill, so we can hide the cable stuff underneath the counter:) Chose a counter grommet (hubby found one at Lowes) that can fit all of your chords. This also determines the size of the hole you cut. Adhesive velcro holds the power-strips underneath. Save those seashells and stones you collected at the shore, and make jar candles. I'm super happy to find this VERANDA, Meritime Blue, indoor/outdoor-friendly rug, made by Momeni from Outrageous Rugs. Shop Outrageous Rugs via Rug Click! 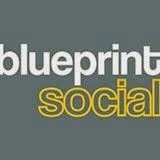 Visit them on Twitter, Facebook, Pinterest, YouTube, & Blog. 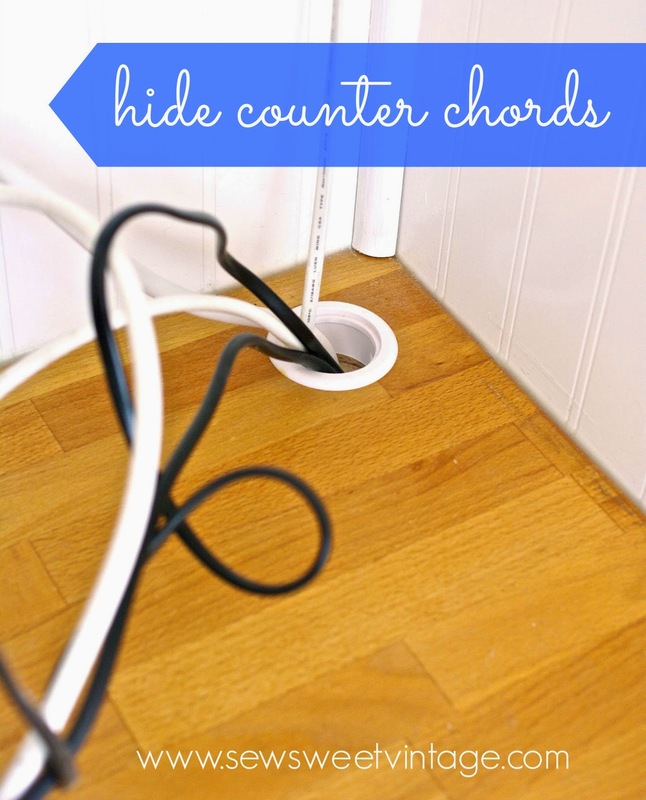 Follow my "how-to make a simple valance curtain" on Guidecentral . Your kitchen is adorable and so bright and airy. I love those light curtains on your window. Thanks Maggie! I was going to stencil a grain sack stripe pattern on the curtains but i love them as they are! I love your farmhouse style sink and butcher block counter tops. Such a pretty kitchen and love the addition of the blue rug too. I love your kitchen!!!! Oh, this would have been perfect for my page on tiny kitchens! 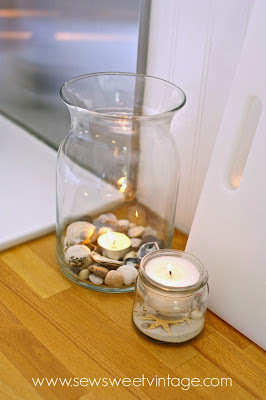 You have a lovely blog page.. glad to connect with you! I love your style! Right after this I am checking out your Etsy shop! I am a little anchor obsessed! I love the kitchen! Awe, thank you! If you see something you like in my shop, message me, and I'll send you a discount code!!!!! 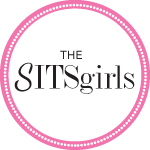 Thanks for the follow on bloglovin' and etsy, Michele. I hope to get my etsy shop up and running again later this year. You have some lovely things in your shop! I've been looking for a nautical rug that is easy care! I should check that out! Thanks for sharing! Love the rug! I love your whole kitchen so bright & cheery. I love your style! 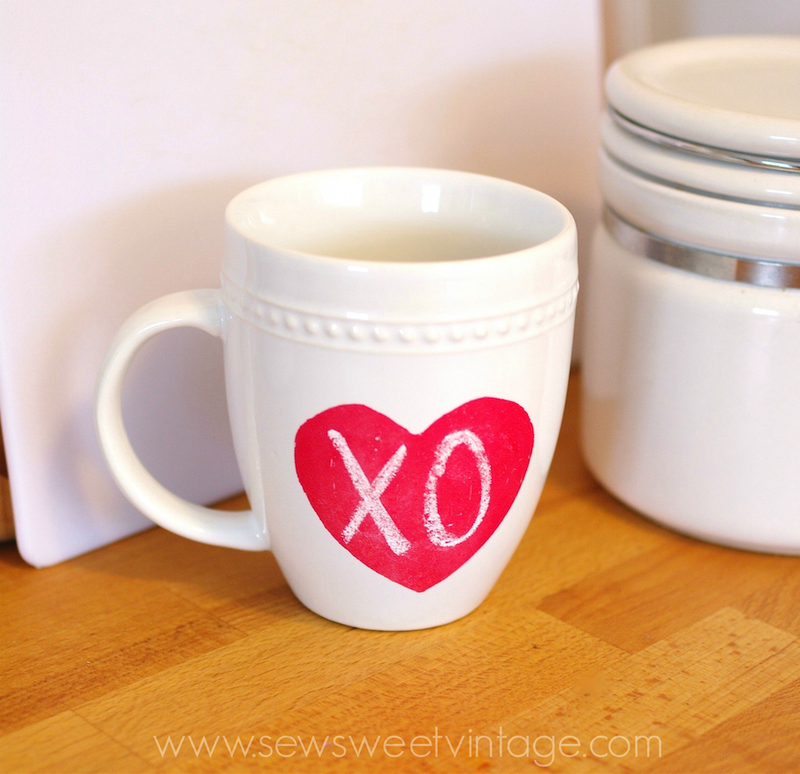 I would love for you to share a project on my Meet Up Monday Blog Party! Very pretty rug... it adds just the right amount of color to the area. :) Thank you for sharing this. 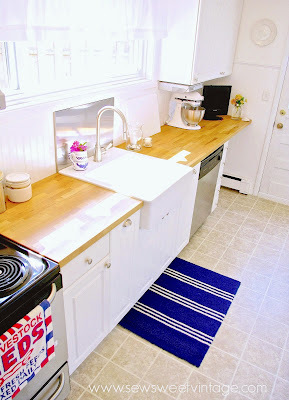 Someone already wrote this, but I love your sink and butcher block countertops! I'll definitely have to look for that sink at Ikea! Thanks Kimberly! We really weren't sure about going with an over counter sink. Most farmhouse sinks are under counter, but we love this one! Thinking about flooring now, but taking everything out is such a pain! That rug is super cute! I love the color. Thanks for sharing with us at Hump Day Happenings. I'm becoming a fan of all things nautical. The rug is super cute with it's nautical feel. 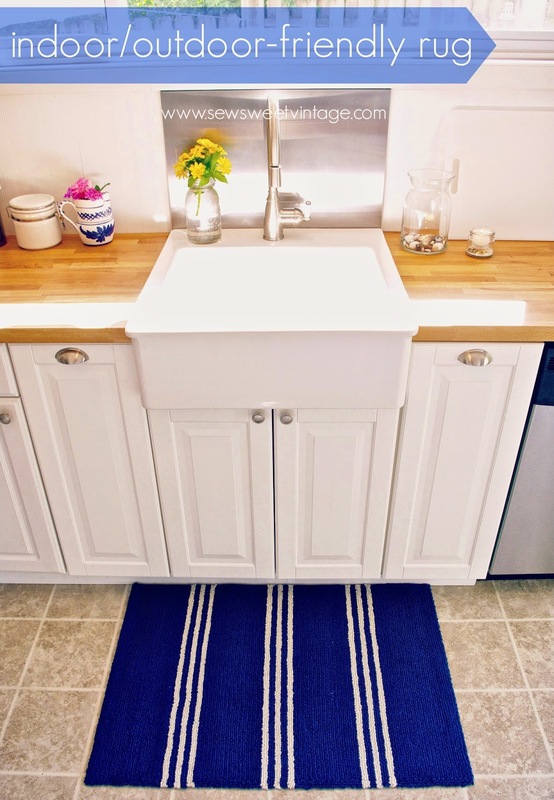 What a great rug and love your farmhouse sink! Love the rug and those anchor clocks, so cute. Thanks for sharing at Bacon Time, hope to see you on Friday.